The Syrian pavilion at the annual charity bazar, organized by the International Women’s Club( IWC), Sofia, witnessed remarkable turnout. 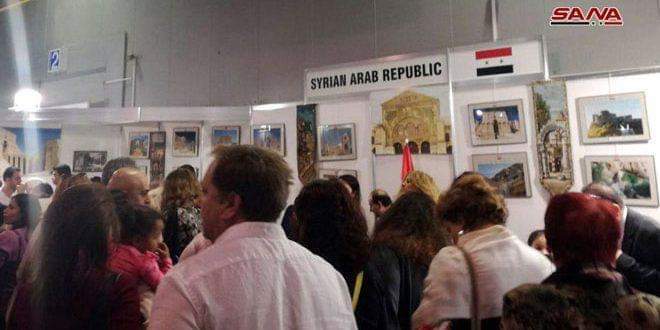 The pavilion showcased unique traditional handmade and textile and products, Syrian food and candies as well as photos of the Syrian archaeological and tourist landmarks. Visitors of the pavilion hailed the cultural and civilized role of Syria, expressing their admiration of the Syrians’ strong will of life and their continued creativity despite the crisis. A large number of ambassadors and diplomats accredited in Bulgaria visited the pavilion. Fifty countries in addition to some associations and organizations concerned with humanitarian affairs participated in the bazar.